The worksheet is for beginners. It has two exercises: the first one is a text with questions, the second is to make sentences with given words. You can add words to the second exercise. 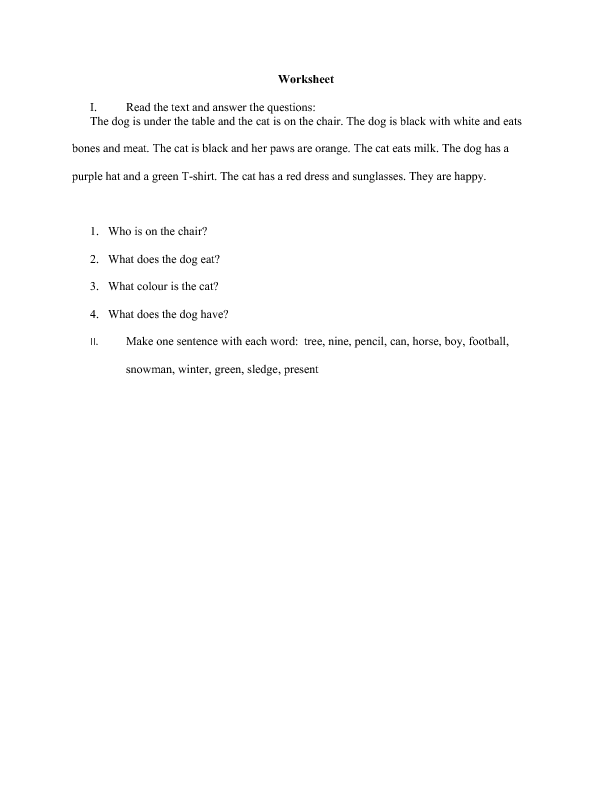 The worksheet can be used to rehearse vocabulary and grammar.